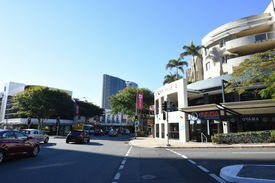 33 Commercial Real Estate & Properties in Fortitude Valley are listed in 6 categories. We have 22 Retail ShopsSale , 7 OfficesSale , 4 Medical and Consulting PropertiesSale , 2 Hotels and LeisureSale , 1 Development LandsSale and 1 Other Commercial PropertiesSale . 600m2 Two Storey Office Building 430m2 Land Short term rental in place Suit owner occupier, developer or investor Substantial opportunity to acquire high potential site with the capacity to purchase the neighbouring site at 52 Amelia Street Motivated vendors requesting Genuine offers For further information or to arrange an inspection contact Richardson Wrench Commercial Brisbane North now! Ground level shop of the Cathedral Village development; floor area is 88m2 plus outdoor exclusive use area. 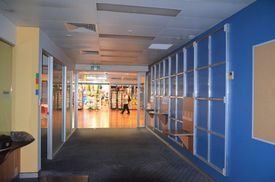 This shop has large cold room; buyer may keep existing business or change to CafÃ©/Restaurant or other type of business Great central location; Brisbane City fringe; close to Chinatown Mall/ Brunswick St Mall, railway station & bus stops. A high volume of traffic passes by this shop daily being just a short minute walk from Chinatown There are ample on site car parks with visitors allowed 15 minutes of free parking, and 1 hour parking fee cost $3 Other traders in Cathedral villages include a Vegetarian restaurant, Sushi on the run, Japanese restaurant, Hairdresser, Massage, Laundromat, Solicitors.... It is in the vicinity of some great trendy restaurants/eateries and it is opposite to "Les Bubbles" and "Mister Fitz". Surrounded by office towers and residential developments, this is a great investment opportunity so don't miss out. For further information or inspections, please call Peter Wan on 0419 382 328. Currently used as a professional office with excellent presentation Fully fitted out office consists of meeting room, 4x offices, open area Floor area of 175sqm plus basement car parking (4 spaces) Additional 5 car parks to the back of the property serviced by an electric gate Heritage listed with a DA for mezzanine office High quality kitchen bathroom amenities Motivated Vendor Heritage listed building over two levels with approval for a mezzanine office, on 304m2 block of land. The building consists of a 175m2 ground floor office, basement level car parking and the approval showing plans for the mezzanine office area. The premises have recently been totally refurbished with a well appointed fit out including offices with built in shelving, open plan reception with built in cupboards and shelving, large reception desk, kitchen and two toilets. The premises have ducted air conditioning, new roof, electrical wiring and data points. The property was recently renovated with the back being excavated and creating 5 car parks serviced by an electric gate (remote control keypad). 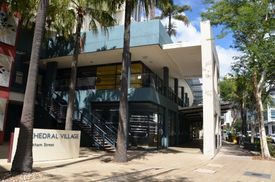 Further upside allows for extra parking to the side of the building and in 2014 Brisbane City Council approved a mezzanine office to be built and increase the net lettable area. The premises are also furnished, including Kartel desks and chairs. Call Richardson Wrench Commercial Brisbane North if you have any further questions or would like to book an inspection. 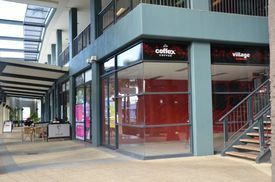 Shop 8&9, 24 Martin st Fortitude Valley This property is located at "Central Brunswick" retail complex, approximately 1 km from Brisbane City. It is in a great location with ample on site customer parking. Floor area: 335m2 + exclusive outdoor dining area 75m2, and 3 exclusive use car parking Lease term: 5 years Option:3 years Net rental:$127,308+GST per aanum Outgoings: 100% pay by tenant For further information and inspection, please call marketing agent Peter Wan on 0419 382 328. Seize this opportunity in one of Australias hot development locations. 430m2 vacant land Zoned MU1 Mixed use (Inner city) Substantial exposure to passing traffic 290m to Brunswick St Train Station 176m to landmark high quality development by Gurner 345m to Brisbane Showgrounds 510m to The Valley Pool 700m to Health precinct: Research facilities the RBWH, Queensland's largest tertiary referral hospital. 500m to Centenary Aquatic Centre 1000m from the Victoria Park Gold Complex Multiple leading private secondary schools and the Queensland University of Technology within 1500m 1500m to the Brisbane GPO Secure this opportunity now by contacting the exclusive agent. Description: Exclusive ' Emporium Centre' Retail Investment This outstanding investment is located in the heart of the Fortitude Valley These two long standing tenants are thriving and well suited to the area High yield return Net income $576,728.34 All offers considered Contact Kerry Armstrong 0403 054 844 or John Dardanis 0404 003 610 Area: Tenancy 1 633m2 Tenancy 2 340m2 TOTAL: 973m2 Location: The suburb of Fortitude Valley is adjacent to Brisbane's CBD. It has undergone a substantial shift towards new residential and commercial developments during the past few years with further developments still pending. Fortitude Valley's location allows good access to the Storey Bridge and southern suburbs and it's proximity to the city makes doing business very convenient. OPPORTUNITY A well known Franchise that has been operating many years Strong Brand in Queensland Excellent Fit out and lease Well presented business Suit First Business Buyer Customer Service Business Loyal Customer Base Parking available Sales Revenue (approx) Approx. $11,000 plus per week LOCATION The suburb of Fortitude Valley is adjacent to Brisbane's CBD. It has undergone a substantial shift towards new residential and commercial developments during the past few years with further developments still pending. Fortitude Valley's location allows good access to the Storey Bridge and southern suburbs and its proximity to the city makes doing business very convenient. Ray White East Brisbane is proud to present 21 McLachlan Street, Fortitude Valley!This property presents a great opportunity to acquire a fully leased asset in the heart of Fortitude Valley within moments to the $2.9 Billion RNA Showgrounds development.Property Features::: Landsize of 364sqm with development potential:: Zoned MU1 Mixed Use :: NLA of 690sqm :: 10 Car Parks on Lease:: Holding income from Multi National tenant ApproxPerfectly suited for a Self Managed Super Fund investment or developers with future potential!Contact the Exclusive Agents, Garry Price 0402 693 501 or Nick Zenonos 0438 112 626 for further information or to register your interest. 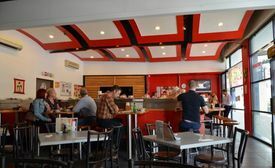 Central Fortitude Valley location, close to Chinatown Mall, railway station and bus stops Ground level of the large residential complex Floor area 49m2 Ex Cafe shop/Juice bar Suit Cafe and take away food operators/retail. High volume of traffic passing this shop daily $398,000+GST Next door 49m2 shop available for sale $368,000+GST!